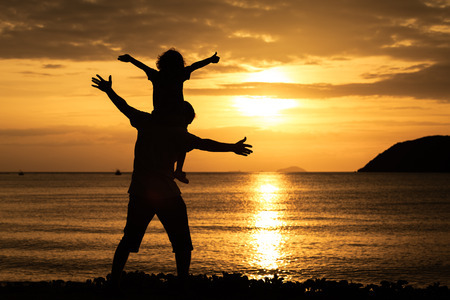 Father’s Day is a great time of year to think of what you can give your Dad that you’ve never given him before –– and a gift of hypnotherapy might be one of them. If you don’t know much about hypnotherapy, think of it as proven way to use guided visualization to help someone target certain issues, establish specific goals, or break long-standing habits. Kay, who is San Francisco’s most experienced certified hypnotherapist, accomplishes this by helping you to close off negative brain pathways and create positive new pathways. In other words, she helps “retrain your brain” to reorganize itself for healthier thinking and healthier behaviors. 1. Sleep better – Sleep issues affect more than 70 million adults and they’re #2 on the list of complaints for the National Institute of Health. If you have trouble sleeping because of an overactive mind, anxiety, too much fast food, too much caffeine, back pain, tension, stress, sleep meds, undiagnosed sleep apnea, or unresolved relationship issues, Kay can help resolve any of these problems through hypnotherapy. 2. Break a habit – We all know that habits can be extremely tough to break, especially if you’ve been smoking cigarettes for decades, have a craving for certain types of foods (or a sweet tooth), addictive behaviors for drugs or alcohol, nail biting, hair pulling, excessive gambling, over-exercising, or obsession behaviors such as addiction to computer or social media use. Kay knows that it’s a fact that it typically takes someone at least 21 days to break a habit through hypnotherapy and the Emotional Freedom Technique (EFT). She’s helped hundreds of clients break a habit over the past 25 years and she can help you, too. 3. Drink less alcohol – Drinking too much alcohol can affect your body and your mind in a variety of ways. You can become disoriented, have trouble sleeping, drive while impaired, or say certain things to a loved one that will further damage your relationship. Kay has effectively used hypnotherapy to curb her clients’ addiction to drinking or diminish their cravings to alcohol. But again, it takes at least 21 days to change any habit. 4. Lose weight – Have you ever eaten a lot because you’re nervous? Have you bought a bucket of chicken, a pizza, or a box of candy –– and finished it all by yourself? Are you an emotional eater because food provides you with a certain amount of comfort? Again, Kay has vast expertise with helping clients attain weight loss, avoid certain types of foods, or diminish their cravings for sweets. Hypnotherapy can help you lose weight, or let go of urges or cravings as you recognize the problem before Kay guides you through the solution. 5. Get over a toxic relationship – This is an area that is perhaps the most cathartic for Kay’s clients. If you’re in a long-term toxic relationship, some days are great, while others are horrible. Kay can help you “Let It Go” by helping you list the issues you want to conquer, then helping you let go in the RELEASE! Method of the Emotional Freedom Technique (EFT). For Father’s Day, Pick Up The Phone and Call Kay. To give a gift of hypnotherapy for your Father, a loved one, or even yourself, call Kay at 415-244-7620 in San Francisco. Her office is conveniently located on Union Street, or she can provide her services by phone. Or send Kay an email now. ← Are You Addicted to Your SmartPhone? Fear of Flying? Fear No More!